I am interested in the larger narratives behind ordinary lives, most particularly the lives of women. My biography, Clarice Cliff (Bloomsbury, 2005), charts the working-class designer’s rise through the pottery industry and the way her designs spoke to the changes in women’s lives between the wars. Lemon Sherbet and Dolly Blue: The Story of an Accidental Family (Atlantic, 2011), tells the story of the three generations of adoption in my family and makes use of oral recollection, notebooks and domestic objects, as well as social history. The Button Box: Lifting the Lid on Women’s Lives (Chatto & Windus, 2016) uses an assortment of family buttons to explore the meaning of clothes for women as emblems of identity, independence and social class. I am especially interested in everyday objects as repositories of memory and history and in women’s relationship with their domestic space. Work at Virago (latterly as editorial director of the Modern Classics series) led me to edit two collections of short stories, Infinite Riches: Classic Stories by Twentieth-Century Women Writers (Virago, 1993), reissued as The Secret Woman (Virago, 2000) and Dangerous Calm: The Selected Stories of Elizabeth Taylor (Virago, 1995). I have also abridged The Diaries of Beatrice Webb (Virago in association with the LSE, 2000), and written critical introductions and reviews. 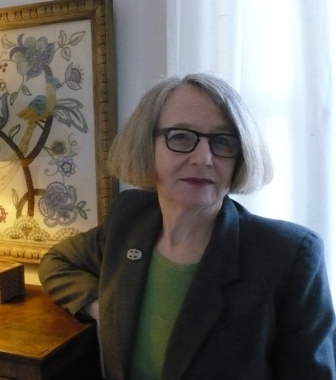 I teach fiction, autobiography and memoir at City Lit in London, and have also taught at the Women’s Library, Charleston and the Geffrye Museum, as well as running independent literature courses. I am happy to give talks and readings. I was a Royal Literary Fund Writing Fellow at Queen Mary University of London 2015-18 and am currently an RLF Fellow at the British Library.